The appeal of peel-and-stick kitchen backsplash tile is easy to see: Convenience and price. These benefits are unfortunately overshadowed by the potential difficulties you could encounter and the many other pitfalls that you may fall into long after installation. This may come as no surprise, but it is recommended to use only true tiles installed using a mortar and grout. There are some pros to using a peel-and-stick tile. For starters, homeowners can often install peel-and-stick (under proper conditions) with very little tools or experience. It can be tough work, but it does not require a lot of mentorship to complete. Another benefit homeowners point to is price, as many peel-and-stick tile sheets are at a lower price-per-square-foot than their true tile counterparts, especially when materials and labor for installation are factored in. 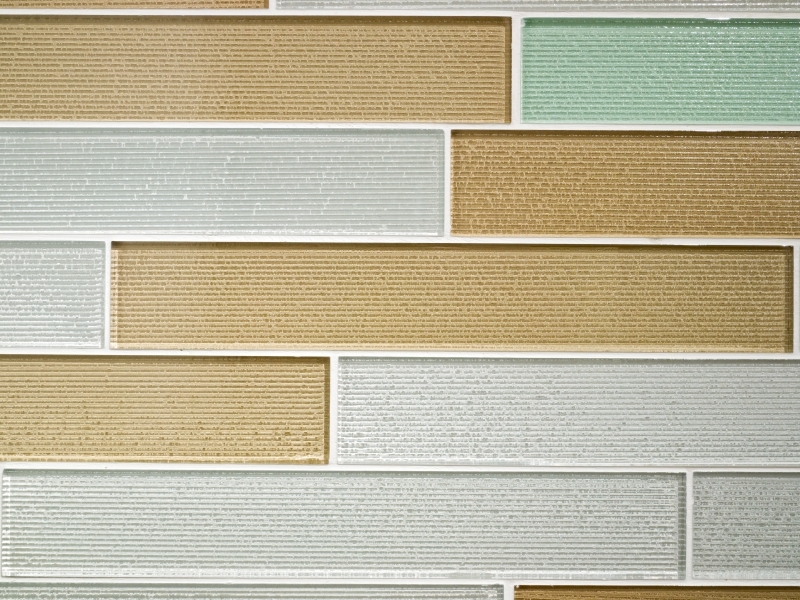 The final benefit to peel-and-stick kitchen backsplash tiles are appearance; these tiles often look very similar, at a casual glance, to actual tile. Basically, homeowners see peel-and-stick as a cost savings option, and treat it as such. The reality of peel-and-stick tile is a little more grim. All of the pros that were previously listed can easily be shown to be cons as well. For instance, homeowners often attempt to take on the installation of their kitchen tile backsplash by opting for peel-and-stick; unfortunately, this often leads to poor installation, wasted material, and frustration. We frequently see people in our store that installed their own backsplash and are now unsatisfied with it. As far as price goes, peel-and-stick tile can seem cheaper, but you get what you pay for. The material itself is almost always cheap, and will look far less appealing than a true tile and grout could have. This can be further compounded by the need for replacement due to dissatisfaction or wear-and-tear that could have been withstood by true kitchen tile. When it comes to the look of peel-and-stick tile, the reality is this: Your tile may look like real tile at a glance, online, or in the store, but it will not have the impact you’re looking for in your kitchen. Regardless of how satisfied you are with your tile on installation day, the future will only get more bleak; peel-and-stick tiles are notorious for breaking, peeling, or getting damaged in ways that traditional tile does not. When you look at peel-and-stick next to a similar style in standard tile, you’ll immediately see and feel the difference. Not only are these cheaper alternatives not made to last, they aren’t even always made for proper installation. Internet forums are abound with homeowners that got halfway through (or finished) with their kitchen tile installation, only to regret the decision to choose peel-and-stick at all. The comparison between real tile and a cheap knockoff is no comparison at all. Don’t risk your design: Do it right the first time.